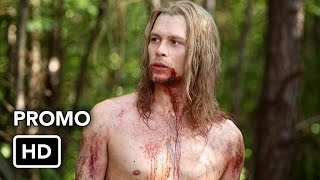 The Originals 2×04 “Live and Let Die” – Knowing that it’s only a matter of time before Klaus (Joseph Morgan) comes after them, Davina (Danielle Campbell) takes Mikael (guest star Sebastian Roche) to her family cabin in the woods. 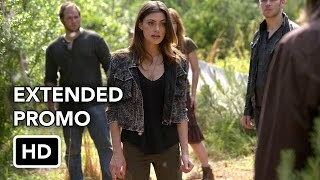 When Hayley (Phoebe Tonkin) gets a tip that Vincent (guest star Yusuf Gatewood) is recruiting young, unsuspecting teenagers in order to build a werewolf army, she enlists the help of Elijah (Daniel Gillies) and Marcel (Charles Michael Davis) to rescue the group. 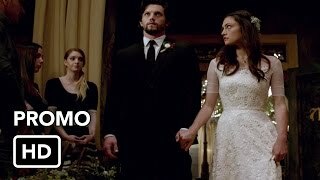 After Cami (Leah Pipes) inadvertently lets Klaus in on Davina’s whereabouts, she tags along in an attempt to truly understand the deeply rooted hatred he has for his parents. At his mother’s urging, Kaleb (guest star Daniel Sharman) seeks out Davina in order to locate the missing white oak stake and is caught off guard when he has a dangerous encounter at the cabin. 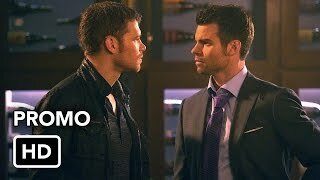 Lastly, Josh (guest star Steven Kruger), who continues to struggle with his vampire identity, opens up to an unexpected ally. Jeffrey Hunt directed the episode written by Ashley Lyle & Bart Nickerson (#204). Original airdate 10/27/2014.